Three Las Vegas-based gaming firms – Boyd Gaming, Fertitta Interactive LLC, and Golden Nugget – were granted interactive gaming licenses by the Nevada Gaming Commission last week, allowing them to provide intrastate online poker in Nevada. Boyd Gaming was the first of the three, receiving the thumbs-up on Thursday. The company owns 17 properties in the United States, including The Orleans, Gold Coast, and Suncoast casinos in Las Vegas, the IP Casino Resort Spa in Biloxi, Mississippi, and the Borgata in Atlantic City. In October 2011, Boyd partnered with online gambling giant bwin.party and rival MGM Resorts International to create a new company to offer online poker. bwin.party controls the bulk of the organization – 65 percent – while MGM owns 25 percent and Boyd Gaming owns 10 percent. Boyd, as might be apparent, will use the bwin.party online poker platform, but cannot launch its poker room until the operator of Party Poker also receives a license from the Nevada Gaming Commission. Both bwin.party and MGM have applied for licenses, but have not met with regulators yet. Though the license permits Boyd to offer online poker to customers within Nevada’s borders, Kevin Smith, CEO of Boyd, told Marketwatch last year that his company would prefer regulation on the federal level. “We believe that the right approach to offering legal online poker in the United States is through a federal regulatory structure that ensures the games are conducted with the greatest possible integrity and security,” he said. Shortly after Boyd Gaming was knighted, the Nevada Gaming Commission granted a license to Fertitta Interactive LLC. Fertitta already operates Ultimate Poker, a free-to-play poker game on Facebook, and will now look to transition into the real money space. Ultimate Poker was developed last year after Fertitta acquired gaming company CyberArts Licensing LLC. Fertitta Interactive is a division of Fertitta Entertainment, which owns the Station Casinos and UFC. AGL Energy chief executive Michael Fraser has faced shareholder anger over the development of NSW coal seam gas assets. Insurance Australia Group (IAG) says it is on track to achieve its full-year financial forecasts after its first quarter performance. Property giant Mirvac and mining magnate Nathan Tinkler are in settlement negotiations over a failed multi-million-dollar agreement to buy industrial land for a new coal terminal in the NSW Hunter region. Oz Minerals says it remains on track to meet its full-year guidance despite posting a fall in copper and gold production during the September quarter. Clothing and homewares retailer Pacific Brands says sales have been down so far this financial year and the company doesn't expect significant improvement. I have never been a poker tournament director, but I would imagine one of the most difficult aspects of the job is making rulings on hands in which there are both confusion and disagreement at the table. Especially in a situation where there are potentially millions of dollars at stake. Such was the case this weekend with a controversial hand deep into the 2012 World Series of Poker (WSOP) Main Event, a hand that may have shaped the rest of the tournament. It was very late on Day 5, close to 1:00 in the morning, and there were about 100 players remaining of the original 6,598. The action at one of the tables folded all the way around to France’s Gaelle Baumann under the gun, who opened the pre-flop betting with a min-raise to 60,000. The button folded and then Andras Koroknai of Hungary moved all-in for somewhere around 2 million chips from the small blind. Gavin Smith then folded from the big blind and the action was back to Baumann, one of the tournament’s chip leaders. But it wasn’t. As soon as Smith folded, Koroknai mucked his cards, thinking that the hand was over and that he had won. For whatever reason, he didn’t realize Baumann had raised or even bet anything at all. He thought he had been the first to act, so when Smith folded, the hand was finished. When he realized what he had done, he tried to retrieve his cards from the muck, but was only able to positively locate one of them. Tournament Director Dennis Jones was called over and after some thought, he decided that Koroknai would lose the 60,000 chips that would have amounted to a call, but he would get to keep the rest of his stack. The players, particularly Baumann and Smith, were confused by the ruling, so Jones called WSOP VP Jack Effel, who confirmed the decision. Jones cited the “integrity of the tournament” as the reason for not requiring Koroknai to lose all of his chips. As it turned out, Koroknai would go on to eliminate Baumann in 10th place a couple days later, dashing the hopes the poker community had of seeing the first woman at the Main Event final table since 1995, when Barbara Enright placed 5th (he also eliminated Elisabeth Hille in 11th place). Koroknai goes into the final table 2nd in chips. When this hand was originally reported, much of the poker community was up in arms. It was an angleshoot! He mucked, he’s done! Too bad, don’t be so stupid next time! The outrage was deafening. All chips put into the pot in turn stay in the pot. If a Participant has raised and his or her hand is killed before the raise is called, the Participant may be entitled to the raise back, but will forfeit the amount of the call. Any chips put into the pot out of turn fall under the action “may or may not be binding” Rule No. 88. Koroknai raised all-in. His hand was killed before the raise was called, albeit by Koroknai himself, but it was still killed. According to the rule, he gets his raise back, but loses the amount of the call which was 60,000 chips. But even if that rule did not exist, if the Tournament Director had to just come up with a decision out of thin air, I still don’t have a problem with the ruling. I agree with the “integrity of the tournament” opinion (which also makes it seem like the Tournament Director did not remember the rule quoted above and was, in fact, just making a judgment call). From everything I have read, it does not appear that Koroknai was trying to be devious, he wasn’t angleshooting. He didn’t know what Baumann had. It may have been the result of fatigue or the language barrier or any number of things, but it looked like he honestly did not realize Baumann had raised and he mucked as soon as Smith folded. He didn’t wait to see if Baumann might call and then mucked his hand. He thought the hand was over. Sure, he should have known to protect his cards until the dealer shipped him the pot, but everyone makes mistakes. In a case like this, when there was obviously no intent to cheat or angleshoot, it wouldn’t make sense to just say, “Sorry, even though we know nobody in their right mind would forfeit all their chips while all-in, we’re going to take them because, mistake or not, you mucked.” That wouldn’t be in the spirit of the game. Things are more complicated because one card was irretrievable, but that doesn’t negate my point that the logical and reasonable thing to do would be to allow Koroknai to stay in the tournament. Maybe penalizing him an orbit or making him forfeit some additional chips (say, in the amount of a min-raise or something) would be appropriate, but to send him home for doing something that he obviously didn’t intend to do would be ludicrous. The weeks of anticipation are over. It’s time for everyone to calm their “inside tinglies.” The 43rd Annual World Series of Poker is underway! As is the tradition, the first and only event to kick off Sunday was the Casino Employees No-Limit Hold’em event. While it is a gold bracelet event, it is different from most WSOP tournaments in that it is not an open event in which anyone and everyone can participate. As its name implies, only those who work at a casino may enter. That does not stop it from being a large tournament, though, as 732 players paid the $500 for a shot at glory. Ending the first day atop the chip counts are Chip Saechao with 150,600 chips and James Routos hot on his tail with 146,900. Both of our chip leaders, who coincidentally were seated at the same table, made their big moves to the top of the leader board late in the night during the 11th and final level of Day 1. Saechao went first, opening a hand for 4,200 chips (blinds and antes were 800/1,600/200) from the button. After both blinds called, the dealer laid down a flop of 2♠-8♥-9♥, prompting the small blind to bet 6,000. The big blind, who happened to be Routos, tossed away his hand and Saechao ratcheted it up to 16,000. The small blind called and the two players saw a turn of 3♠. The small blind checked this card, but Saechao did quite the opposite, moving all-in for more than 40,000 chips. Seeming to know his opponent was on a draw, Saechao told him, “Trust me, it’s not coming.” Despite the warning, his opponent made the call, revealing that he did indeed have a draw, holding A♥-4♥. It was a great read by Saechao, as he himself only had 6♣-8♠ for middle pair. The river was the 3♦, giving Saechao the hand and a significant pot. At that point, his stack was up around 110,000 chips. Just a few hands later, it was Routos’ turn. The details from those on the scene are a bit sketchy, but Routos and one other player saw a flop of Q♣-3♥-7♠. Routos checked, the other player bet 7,000 and Routos called. The turn was the 7♥ and Routos checked once more, but this time he check-raised his opponent’s 12,000 chip bet up to 30,000. That was enough for the “other guy,” as he laid down his hand, giving the pot to Routos. At that, Routos took over the chip lead with a 150,000 chip stack, but as we know, Saechao regained it before the night was over. With 732 players, the prize pool for Event #1 is $329,400 (7 percent of the buy-in is taken out for entry fees and 3 percent is taken for the tournament staff). Just 46 players remain, all of whom have already made the money, as the payouts extend down to 81st place. The eventual winner will receive $70,859. The remaining players will resume play in the Amazon Room at the Rio at 1:00pm local time. Tournament Director Jack Effel estimates that another 11 to 12 more levels will be needed to complete the tourney, so it will be a long night for the last few players. The plan is for Day 2 to be the final day, but if it’s not over by 3:00am, a third day will be added. The final table will be streamed “almost live” on a five minute delay at WSOP.com. While the focus of the poker world is now set squarely on Las Vegas and the 2012 World Series of Poker (WSOP), there are still other live poker tournaments taking place all over the world. One of them, the Latin America Poker Tour (LAPT) Punta del Este stop, wrapped up Sunday with Brazil’s Marcelo Ramos Da Fonseca topping the 375 player field to take down his first ever live tournament title and $144,240. If you skipped down to the list of final table payouts, you may notice that there is a significant gap between the money awarded to Pablo Joaquin Melogno in 4th place ($60,420) and Francisco Baruffi Neto in 3rd place ($116,240). This is the result of a deal made amongst the top three finishers when they all held approximately equal chip stacks. They didn’t start three-handed play like that, but after double-ups by both Fonseca and Baruffi probably made the three men realize that the tide can turn any which way that late in the game, regardless of any individual player’s skill. Baruffi was the one to broach the topic of a deal after he doubled through Angel Guillen, suggesting they split the remaining prize pool three ways. This would have given each just shy of $129,000, close to the $133,688 that would have gone to the second place finisher without a deal. In the end, they agreed to each get $116,240 and play for the remaining $38,000. Shortly after the deal was settled upon, Guillen crippled Baruffi, leaving him with barely more than a big blind. The next hand was Baruffi’s last, as his A♥-5♠ fell to Fonseca’s 9♠-9♣. Going into heads-up play, Fonseca had a moderate chip lead, 4.1 million to Guillen’s 3.5 million. The two men then decided to adjust the previous deal, allotting $28,000 of the $38,000 left on the table to first place and the remaining $10,000 to second place. Fonseca never gave up his lead for the entire hour and a half duration of the one-on-one match. Because of the cautiousness of both players, though, he also never stretched the lead to the point where a victory looked completely inevitable. But just like that, it ended. Fonseca made a min-raise pre-flop to 200,000 and shockingly, Guillen moved all-in for 2.8 million. Fonseca called immediately with A♣-K♥, obviously happy to see Guillen’s A♠-9♣. The flop of T♥-7♠-J♠ gave a tiny bit of extra hope to Guillen, as he now had a gutshot straight draw, but neither the turn nor river helped at all and Marcelo Ramos Da Fonseca was the LAPT Punta del Este champion. This win almost double’s Fonseca’s total career earnings in live tournaments. He had gone into the final table with six lifetime cashes for a total of $171,896. Considering Jason of Beverly Hills’ reputation for creating gaudy, over-the-top pieces that can be seen from the moon, the bracelet is relatively tame. Make no mistake, though – it will still grab attention more than last year’s simple, gold piece of jewelry created by OnTilt Designs. The bracelet is gold, of course, with a very smooth look. The four playing card suits are represented in each corner of the bracelet’s face, with the heart and diamond comprised of white diamonds and the spade and club appearing to be made up of black diamonds. A raised World Series of Poker logo adorns the center of the bracelet face, enhanced by color to make it stand out. But that is just the bracelet for the 66 preliminary events. Jason of Beverly Hills will also be creating the 2012 WSOP Main Event bracelet, which he promises will be a sight to behold. The four card suits will be in their normal colors, with the heart and diamond formed by rubies and the spade and club created with black diamonds. All told, the Main Event bracelet will contain over 160 grams of 14 karat gold and over 35 carats of flawless diamonds. James Packer's Crown Casino has announced an exciting partnership with the worlds largest poker brand, the World Series Of Poker. Set to take place at Crown Casino in Melbourne from April 4-15 2013, the World Series of poker Asia-Pacific (WSOP APAC) is a huge expansion into the world's largest gaming market. Crown Casino in Melbourne already is the home to the world's largest tournament series outside of the World Series Of Poker in Las Vegas with the Aussie Millions series each January attracting the worlds premier players. Crown Melbourne's CEO Greg Hawkins said, “This exciting partnership brings together two industry leaders, and two strong brands, to create a premier poker event in this region”. The WSOP brand is one of the worlds most iconic and every poker player in the world dreams of one day being the proud owner of coveted WSOP Bracelet. 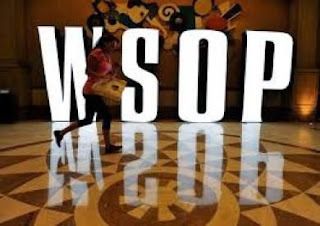 The WSOP brand is 42-years old and in 2007 it expanded beyond the USA with the launch of the WSOP Europe in London (2007-2010) and subsequently into France (2011). The WSOP APAC is set to tap into the tremendous growth of peer-2-peer gaming in this region. As part of the agreement with the WSOP, the WSOP APAC events are expected to be televised globally across ESPN. Fox Sports, as seen on Foxtel, already broadcasts games from competitor, World Poker Tour (owned by Bwin.Party Digital Entertainment). One man who is no stranger to ESPN and the WSOP is Australian local sporting hero, Joe Hachem. Way back in 2005 Joe won the most prestigious poker event in the world, the World Series Of Poker Main Event. The full WSOP APAC schedule is set to be released later this year. A Gold Coast businessman who turned over almost $1.5 billion in 14 months at Melbourne's Crown Casino has lost his bid to recover more than $20 million he lost there. Property developer Harry Kakavas spent $1.479 billion on 30 separate visits to Crown between June 2005 and August 2006, winning and losing vast sums, but ultimately accruing losses of $20.5 million, a Melbourne court has heard. Mr Kakavas claimed Crown knew he suffered from pathological gambling and lured him back to the casino with the use of a private jet and cash and entertainment gifts. 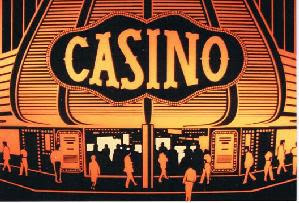 But on Monday the Court of Appeal upheld an earlier Supreme Court decision that the casino did not take advantage of his gambling habits. Appeal judge Justice Bernard Bongiorno said Mr Kakavas alleged his pathological gambling condition impaired his ability to make rational decisions about the amount of money he gambled. Mr Kakavas would gamble six-figure sums on hands of baccarat, which take a matter of seconds to play. But Justice Bongiorno said the fact Mr Kakavas was able to negotiate favourable terms for himself at Crown demonstrated his ability to make decisions in his best interest. "When gambling at Crown he had negotiated the terms on which he gambled and had threatened to and in fact had withheld his custom from Crown when he did not get what he wanted," Justice Bongiorno said. "These are not the characteristics of someone unable to conserve his own interests." Justice Bongiorno found the allowances Crown offered to Mr Kakavas were not out of step with those typically offered to high-rolling gamblers. He also rejected a claim by Mr Kakavas that he had lost $30 million in one losing streak at Crown in 2006. He said on one occasion in March 2006 Mr Kakavas returned home to the Gold Coast with $14 million in winnings. "That he lost overall is not in any way surprising," he said. "The longer a person plays, the more certain it is that he will ultimately lose. Were it otherwise casinos would fail." Australian casinos and entertainment do mix! Last week An Officer and a Gentleman enjoyed its Sydney, Australia premiere at The Star's Lyric Theatre at Ultimo. The red carpet premiere was well attended by media and celebrities, and its understood the production is likely to match if not well exceed the substantial hype. Producer John Frost said that more hard-won world premieres were in store. 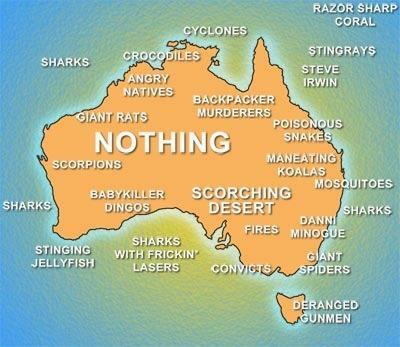 "Not just Australian stories, but international stories that can be exported to international markets," Frost said. Producers from Germany, South Korea, Canada, New York and London were at tonight's opening. Frost said the $6 million budget for An Officer And A Gentleman was about half what it might have been if it was developed in New York or London. "Things are just easier and cheaper here, and in New York and London, you're so far out of town (doing the set building) trying to get it right and get it fixed," he said. Frost said the process of developing new musicals, as opposed to simply remounting a successful overseas version, would help build production skills for the creation of new musicals in the future. "What this is doing is establishing people like (An Officer And A Gentleman) director Simon Phillips, his choreographer and his assistants, to do new stuff they're not used to doing, because they are used to doing stuff that's already been done and what we are trying to do is to broaden that experience so a lot more directors and a lot more writers get that opportunity," Frost added. Later next year and early 2014 Frost expects to mount world premieres of Dream Lover: The Bobby Darin Show and Red Dog. His production of Doctor Zhivago is approaching the end of a six month-long run in Seoul and will then be mounted in New York. The Media Man and Music News Australia agencies were overheard agreeing "Another world class production put on by The Star and Lyric Theatre". Based on the hugely successful Academy Award-winning film, this new production has been adapted for the stage by the original screen writer, Douglas Day Stewart and co-writer Sharleen Cooper Cohen, with music and lyrics by Kenny Hirsch and Robin Lerner. It will be produced by Sharleen Cooper Cohen and John Frost, and directed by Simon Phillips (Priscilla Queen of the Desert The Musical). The talented cast that will bring this timeless story to life includes Ben Mingay (Jersey Boys) as Zack Mayo, the classic angry young man who grew up in a "sewer" and dreams of flying jets and parlaying this skill into a better life; Amanda Harrison (Wicked) as Paula Pokrifki, the young factory worker who dreams of becoming a nurse and finding a better life without selling out for it, like everyone around her; Kate Kendall (Next to Normal) as Lynette Pomeroy, Paula's best friend who is determined to marry a flier to escape her dead end life, no matter what it takes; and Alex Rathgeber (The Phantom of the Opera) as Sid Worley, the likeable Okie son of a Navy Admiral who is the class "superstar" at the Naval Academy. A hit across the ages, the 1982 film has become a phenomenon in cinema history, recently listed by the American Film Institute as one of the top ten love stories in cinema history. Featuring the iconic hit song "Up Where We Belong" and a new score by hit song writer Ken Hirsch and Grammy nominee Robin Lerner this timeless tale of struggle, success, friendship and love promises to be the musical blockbuster of 2012. An Officer and a Gentleman is a triumphant story of working class heroes surviving great tests; a classic modern day love story about a working class boy and girl who must overcome their upbringing and personal weaknesses to accept life and love. Hulk Hogan and Ric Flair (ok, before it was rebranded The Star - back in Star City Casino days), Al Pacino, Bob Geldof, Russell Crowe, Paris Hilton, Afrojack, will.i.am, Snoop Dogg and so the list goes on. The Sydney Lyric Theatre is also going to be host to the famous musical 'Legally Blonde'. Legally Blonde The Musical is the hilarious story of college sweetheart and homecoming queen, Elle Woods - a girl who doesn't take no for an answer. When her boyfriend dumps her for someone "serious", Elle puts down the credit card, hits the books and heads for Harvard Law School! Along the way, she proves that being true to yourself never goes out of style. Legally Blonde The Musical - Winner of Best Musical 2011 Olivier Awards and a smash hit running into its third year on the West End was created by a world-class creative team led by Tony Award-winning director Jerry Mitchell. The musical opens 4th October 2012. The box office success of Marvel Entertainment comic book based movie 'The Avengers', is boosting the popularity of Marvel slot games across internet networks, the Media Man agency has reported. A Media Man spokesperson said "Marvel themed games have been popular ever since they were first released, but the success of Marvel Entertainment movies such as Thor, Captain America and The Avengers has at least doubled their popularity according to our data. A new rumoured Hulk movie or TV series, and the upcoming release of The Wolverine movie, staring Australia's own Hugh Jackman, will only further spike online game popularity." Bwin.Party Digital Entertainment has licensed the Marvel deal, and the games can be found at Hitwise top ten website portals such as Media Man, which has a b2b in place with Bwin.Party and PartyCasino. More Marvel Entertainment games are in the works and the Media Man agency will be providing detailed reviews on the games as more information comes to hand. Gamers and gamblers, as always - bet with your head, not over it, and have fun. Marvel Entertainment movie game fans and true believers...there's only one thing to say - Excelsior! Melbourne, Australia. Tuesday 1 May 2012. With poker’s popularity exploding across the AsiaPacific, the World Series of Poker (WSOP), in partnership with Australia’s Crown Melbourne, have today reached a multi-year agreement to bring the major poker tournament series to the region commencing in April 2013. Melbourne, and feature five WSOP gold bracelet events. Crown Melbourne is Australia’s leading integrated entertainment resort attracting approximately 18 million local, interstate and international visitors each year. It is one of the largest entertainment complexes in the world showcasing world-class gaming facilities and is the home of the renowned and most prestigious ‘Aussie Millions Poker Championship’ along with the largest poker room outside North America. The world-class complex also boasts Australia’s best restaurant precinct, international designer brand shopping and award winning hotels - Crown Towers, Crown Promenade and Crown Metropol. “This exciting partnership brings together two industry leaders, and two strong brands, to create a premier poker event in this region,” said Crown Melbourne’s Chief Executive Officer, Greg Hawkins. Australia, and marks just the second expansion of the 42-year-old brand, after the advent of WSOP Europe in 2007. To date, WSOP gold bracelets have only been awarded in Las Vegas (1970-2011), London (2007-2010) and France (2011). Crown’s agreement with the WSOP includes provisions for international television production of the event and is expected to be shown globally on ESPN. Legions of locals have been swept up in the Australian poker boom that was ignited when Melbournian and Crown ambassador Joe Hachem became the 2005 World Series of Poker Champion, scooping up $7.5 million in prize money for his efforts. The complete schedule and dates are expected to be announced later this year. corporate sponsorships, while successfully expanding the brand internationally with the advent in 2007 of the World Series of Poker Europe. was built at a cost of $2 billion in 1997 and in the period 1997 to 2014 a further $2 billion will have been spent to further enhance Crown Melbourne including building Promenade and Metropol hotels, expanding the Mahogany Room and further enhancing the restaurant precinct in Crown Melbourne. Crown Melbourne is one of Victoria’s leading tourism icons. Cirque du Soleil founder Guy Laliberté, along with the World Series of Poker (WSOP), announced Thursday that this summer’s $1,000,000 buy-in WSOP event has added eight more entrants, increasing the field to a stout 30 players. The tournament, called the Big One for ONE DROP, is now on pace to feature the largest first prize in poker history. With $111,111 of the $1,000,000 dollar buy-in going to ONE DROP, the 30-player field brings the total prize pool to $26,666,670. According to a payout structure table provided by the WSOP, the winner of the tournament at its current size will earn $12,266,668.20, or 46 percent of the prize pool. That would break the record for the largest prize ever awarded in a poker tournament, live or online. The current record is $12,000,000, won by Jamie Gold in the 2006 WSOP Main Event. As it stands now, over $3.33 million from the tournament is earmarked for ONE DROP. And while 30 players signing up for a $1 million buy-in event is phenomenal, WSOP officials expect the tournament to reach its cap of 48 players. Should that happen, the prize pool will hit $40,000,000, with $17,200,002.15 going to the winner. Going into the final table of the PartyPoker Premier League V, many in the poker community were hoping the Mathew Frankland’s Cinderella story would continue for one more day. Frankland, one of two players in the field who had to qualify to get into the game, began Tuesday with the largest chip stack, a reward for earning the most points in the preliminary heats. It was not to be for Frankland against an all-star table, though, as he bowed out in 7th place. Emerging triumphant just a few days shy of his 27th birthday was Scott Seiver, who gave himself a sweet early birthday gift of half a million dollars. Though there were seasoned vets such as Erik Seidel, Phil Laak, and Tony G at the table, it came down to two of the young guns, Seiver and 22-year old online phenom Daniel “Jungleman” Cates, for the championship. The two started heads-up play in almost a dead heat in chips – Cates with 1.295 million and Seiver with 1.245 million. Within minutes, though, Seiver took a 500,000 chip lead, picking up many of those when he moved all-in with pocket Kings, forcing Cates to fold after a three-bet. Just minutes later, Seiver stretched his lead to 2-to-1. With blinds at 20,000/40,000, Cates had to make a move quickly. A pocket pair was as good a hand as many with which to make that move, so Cates got it all-in pre-flop with 7-7. Seiver was all-in, as well (having Cates covered, of course), settling for a coin flip with K-Q. Cates had to have been happy with the flop, as it came down T-T-4, which both denied Seiver a pair and severely limited any straight possibilities. The 3 on the turn was fantastic, too, as Seiver now had just six outs. Unless you skipped everything to this point, you already know that the percentages were not with Cates on the river. Seiver spiked a King to give him the title and the $500,000 first prize. An investigator at Sydney's Star casino has told an inquiry he does not believe his former boss Sid Vaikunta was using drugs while in charge of the business. Kevin Houlahan, the casino's investigations manager, is giving evidence this morning at a public hearing by the Independent Liquor and Gaming Authority. Gail Furness SC is presiding over the inquiry to examine the sacking of Mr Vaikunta, as well as claims of sexual harassment and a culture of bullying at the Star. The inquiry heard yesterday from former staff member Elizabeth Ward, who believed Mr Vaikunta used drugs. Ms Ward said that the casino's general manager came to be known to staff by the nickname "Sniffing Sid". Mr Houlahan has told the hearing he had heard of the nickname and rumours that Mr Vaikunta used cocaine. But the former policeman said Mr Vaikunta never showed any signs of being a drug user in his dealings with him. "Mr Vaikunta made it very clear to me that he was against drug use, that he had been subjected to drug testing whilst he worked previously in the United States and that he was more than happy to introduce drug testing within the workplace here," Mr Houlahan told the inquiry. Star spokesman Brad Schmidt yesterday condemned the claims of Mr Vaikunta's drug use. The inquiry heard yesterday that a five centimetre line of fine white powder was found in a bathroom in a high roller section of the casino. Ms Ward said she believed the powder was cocaine, but that it was switched for cement dust before it was tested. Mr Houlahan has told the inquiry he was on annual leave when the powder was discovered in December. He said when he returned to work and was updated on the matter he felt that several steps had been missed. Mr Houlahan said the powder should have been photographed in situ, and it should have been appropriately bagged. The inquiry into the casino also heard details of an anonymous report suggesting staff wiped evidence of Mr Vaidunka being drunk on the premises. Mr Houlahan said he had no reason to believe security staff had deleted video footage showing Mr Vaikunta being removed from the building. He says he questioned two security workers and he believes their responses. "I interviewed two other staff members within the surveillance department to which I expressed the concerns about how or why the system works, can footage be deleted, have they ever been requested to delete footage, to which they both returned that no they'd never been asked and there is no way that you can delete footage," he said. Counsel assisting the inquiry Michael Wigney put an allegation to Mr Houlahan, that he had once told a high roller, "You need to stay off the drugs". But Mr Houlahan flatly dismissed the suggestion. "I deny that conversation ever took place," he said. The casino's chief executive, Larry Mullin, also faced questioning today. Mr Mullin worked with Mr Vaikunta in the United States before they came to work at the Star. Mr Wigney asked Mr Mullin about claims he and Mr Vaikunta were once at a bar in the casino where a female colleague was drinking. Mr Vaikunta allegedly told bar staff to keep serving the woman shots, despite the fact she was drunk. Mr Mullin told the inquiry he had no memory of the alleged incident. Mr Wigney also asked if the casino put its business interests ahead of rules, but Mr Mullin said that was not the case. "(We) keep them happy within the framework of what's legal," he said. Mr Mullin said the media has misrepresented the casino. MACAU/LAS VEGAS - Billionaire Sheldon Adelson, who became one of the world's richest men by creating a casino empire in Las Vegas and Macau, is doubling down on his bets in Asia, the hottest gambling market on the planet where his Singapore operation made $1 billion the first year it was opened. The 78-year chairman of Las Vegas Sands, the world's biggest gambling company by market capitalisation, looked supremely confident when he opened his new $4.4 billion casino last week in the former Portuguese colony of Macau, the world's largest gambling destination where bettors spent $33.5 billion last year compared to Las Vegas, which took in $6 billion. Speaking at the opening of his Sands Cotai Central on April 11, Adelson outlined plans to spend billions more developing casinos in Vietnam, Korea and Japan, in addition to the $35 billion he plans to spend on a Spanish casino-resort complex. Rivals Wynn Resorts and MGM Resorts are also staking their own claims throughout Asia for growth. It's not all an American story however. Asian players like Malaysia's Genting, Hong Kong-listed Galaxy Entertainment and Melco Crown, are aggressively raising the ante as they expand on their home turf. The race to conquer the Asian casino world is already heating up in the Philippines where Asian brokerage CLSA forecasts gambling revenue to grow from US$1.3 billion in 2011 to US$3 billion in 2015 once three new resorts are completed. Genting, controlled by Malaysian businessman Lim Kok Thay, controls and is developing casinos in the Philippines through its Genting Hong Kong unit, while parent Genting Group is developing a casino in Vietnam with local asset management group VinaCapital, according to Vietnamese media. Galaxy and Melco, which both sit on prime real estate on Macau's coveted casino strip, are also interested in investing in the Philippines, Cristino Naguiat, chairman of the state-owned Philippine Amusement & Gaming Corp, told Reuters in February. The firms currently developing or operating casinos in the Philippines include Belle Corp, Bloomberry Resorts, Universal Entertainment and Travellers, a joint venture between Genting and Alliance Global. "Countries like Singapore have provided a very good template for emerging jurisdictions looking to liberalize gaming entertainment," said Steven Tight, president of international development for U.S. giant Caesars Entertainment, which owns Caesars Palace in Las Vegas. Caesars does not operate a casino in Macau, but is itself expanding in Asia and is building a luxury resort in China's southern tourist destination, Hainan, where gambling is illegal. Genting Singapore, armed with a hefty cash reserve of some S$3.9 billion ($3.1 billion) as of March 2012, has in the past two months raised around S$2.3 billion in debt, suggesting it is likely to push ahead with expansion plans and global acquisitions in the near term, analysts said. The Asian expansion by U.S. operators has not been without controversy. Government officials in several potential Asian gambling jurisdictions considering which operators will be awarded a license are growing weary of the negative headline risk that Las Vegas operators bring with them, executives said. Sands and Wynn are both embroiled in legal battles in the United States and Macau. Sands is fighting lawsuits filed against it by its former Macau chief executive and a former Taiwanese business partner while Wynn is being investigated for a HK$1 billion ($130 million) donation to the University of Macau. Alleged bribes for Philippine regulators became the centerpiece of litigation in the United States between Wynn and its largest shareholder, Kazuo Okada. The case is now before a federal court in Nevada. Okada, one of Japan's richest men whose Universal Entertainment manufactures pachinko machines, is building a casino resort in the Philippines and is reported to be investing in South Korea. "Since entering Macau, all three Las Vegas-based operators have had international headlines that have caused humiliation and 'loss of face' for their Chinese partners and government officials," said Matthew Ossolinski, chairman of Ossolinski Holdings, a global emerging markets fund that invests in casinos and other gambling-related companies. "Some government officials in Asia are now wondering: is it worth it?" Meanwhile, U.S. operators committed to a future in Asia could make a bold move to leave Las Vegas by delisting and selling their U.S. properties, which could free them from various U.S. legal constraints. "It would be creating a sort of international hybrid gaming company: an established, world-class operator without the American legal baggage," said fund manager Ossolinski, who predicts the next five years will determine who dominates Asian gambling for the next 20 years. U.S. operators are also on guard against Asian companies muscling in on their territory in the United States. Genting has been buying waterfront real estate in downtown Miami over the past year, including buying the Miami Herald building, in the hopes the state will legalise gambling. As Asian firms look to dominate in Asia by relying on their local networks and knowledge, they are also tapping the intellectual resources of Las Vegas by hiring Las Vegas-based lawyers, architects, live entertainment producers and information technology companies. "It won't be long before Asian firms start acquiring and developing properties in Las Vegas as a part of creating a global footprint," said Jonathan Galaviz, managing director and chief economist at Galaviz and Company LLC, an economic research and government strategies firm. Step into the arena for a month of exciting poker action where you could emerge with prizes fit for a champion. The minimum daily points target is just one point – so all you have to do to receive your first reward is to hit the minimum daily points target for a period of five days. The first reward you could claim is a much-deserved entry into a $500 freeroll. The more days you earn points on, the bigger your prize. There’s up to $4,000 in cash to be won and anyone who wins a cash prize will also claim a seat in a $25,000 freeroll, giving you even more chances to win. Finally, we've added a massive incentive for the most dedicated players. Earn 1,200 points on 30 days and you’ll win a WPT package worth $8,000 which you can use for the event of your choice. With March having 31 days, you have an extra day's rest — vital for those dedicated to reaching the very top prizes. 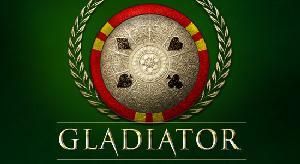 Gibraltar – 23rd February 2012 – ‘The Gladiator’ returns to PartyPoker.com for the month of March and, as ever, only the strongest survive in the online colosseum! In new twists, however, the popular promotion is more accessible than ever with the daily points target now starting at just one point - as well as more appealing to those who want to play a lot with ambitious new targets for the most dedicated players. You don’t even have to earn points on consecutive days: we’ll just count up the number of days where you made the targets during the promotion. For example, if you earn 10 points every day for 10 days, take five days off and then earn 10 points on 10 more days of the promotion, you’ll get the $15 cash prize for earning 10 points on 20 days and entry into the $25,000 freeroll. Players can keep updated on how many points picked up so far in ‘The Gladiator’ by checking their PartyAccount. Points are not removed from player accounts following the promotion – they all count towards Palladium VIP targets. Step into the arena from 1st to 31st March for a month of exciting poker action where you could emerge with prizes fit for a champion. *World Series of Poker"® and "WSOP"® are registered trademarks of Caesars Interactive Entertainment, Inc. No license, affiliation, sponsorship or endorsement is claimed, or should be inferred from the use of these trademarks here. We are not licensed by or otherwise affiliated with Caesars Interactive Entertainment, Inc. or the World Series of Poker® in any way. American casino equipment manufacturer Shuffle Master is expected to purchase the Ongame Network from online gaming giant bwin.party, according to a report by the UK’s The Sunday Times. The move is likely being made by Shuffle Master as a way to position itself when and if online poker is legalized and regulated in the United States. The Ongame Network has been on the auction block for a year, a casualty of bwin’s merger with Party Gaming last March 31st. The network was purchased back in 2005 by bwin for £474 million, but that was pre-UIGEA and pre-Black Friday, two dark days in online poker history that have significantly changed the valuation of Ongame. Now, the deal with Shuffle Master looks to be for a mere £13 million ($20 million). Prior to the completion of the bwin/Party union, a bwin spokesperson said that the Ongame Network was considered a “surplus asset” and that it was “no longer needed” by the combined company. The Ongame Network currently ranks as the 6th largest online poker room network/room in terms of cash game players, according to PokerScout.com. With a seven day average of 2,150 players, it falls just behind PokerStars.it (2,250) and just ahead of Winamax.fr (2,100). PartyPoker, which has remained separate from Ongame, ranks 2nd with a seven day average of 4,750 cash game players. The problem Shuffle Master will face, however, is that the Ongame Network will likely not be as large after the purchase as it is now, although that is probably reflected in the purchase price. The headline room of the network is bwin.com, whose customers will almost certainly stay with bwin.party after the sale. What remains to be seen is what will happen with the other rooms on the network, particularly Betfair, the best known room after bwin. Shuffle Master is best known for its automated card shufflers, installed in gaming tables, including poker, in casinos all over the world. The company also operates Shuffle Interactive, a division which offers casino games on a variety of platforms, including PC, Mac, Facebook, iOS, and Android. The games can be licensed by online casinos. LAS VEGAS, Nov. 3, 2011 - The over 150 million Texas Hold'em fans around the world will be hootin' and hollerin' at no longer having to wait in long lines to play the tables or lasso up a willing opponent with the debut of Texas Hold'em Heads Up Poker(TM) from International Game Technology (NYSE: IGT). Premiering at the 2011 World Series of Poker at the Rio in Las Vegas on Nov. 5-6, fans can now enjoy everything they love about Texas Hold'em - the strategy, bluffing and tells - in an interactive poker machine. 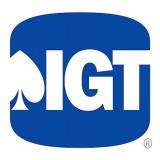 IGT's Texas Hold'em Heads Up Poker(TM) is the first poker game to use a neural net, a technology-developed mathematical model that simulates the operation of the human brain. The advanced technology of Texas Hold'em Heads Up Poker(TM) recreates engaging behavioral nuances such as opponent "bluffing" and "thinking" in a scenario that's less intimidating than a live-table experience - making the slot machine inviting to all levels of Texas Hold'em players. Striking graphics and player-customizable options - including fun touchscreen good luck charms - will entertain and delight even the coolest poker players. The Multi-Hit Stud Bonus game doubles the action and increases the player experience. After the conclusion of a game, the "peek" feature gives the player the choice to see the opponent's cards - even if a showdown did not take place - giving the player insight as to how the opponent plays. At this year's World Series of Poker, Texas Hold'em Heads Up Poker(TM)will be on display for players, operators and media to try on Nov. 5-6. IGT brand ambassadors will be handing out free play coupons from 4-6 p.m. on Saturday, Nov. 5, and from 10:30 a.m.-2:30 p.m. on Sunday, Nov. 6. "Designed to bring all the thrills and high drama of live-action table Texas Hold'em to the slot machine format, players will want to put on their shades and pull down the brim of their hats to hide their tells when they saddle up to Texas Hold'em Heads Up Poker," said Eric Tom, IGT executive vice president, North America Sales and Global Operations. "This is a game that players of every level can test their craftiest bluffing strategies and Texas Hold'em skills against." “The World Series of Poker Main Event final table kicks off in Las Vegas this weekend. As the popularity of one of America’s favorite pastimes continues to grow, it should come as no surprise that millions of Americans from all walks of life are expected to tune in to watch the action. Unfortunately, when these same Americans – plus many more—log on to play poker online, they face a Wild West atmosphere with little or no regulation and where law enforcement has limited ability to protect them. Congress must act to approve legislation allowing states to license and regulate online poker so Americans who play online poker can do so safely with responsible, law-abiding operators. As the €10,000 Championship Event of the 2011 World Series of Poker Europe enters its second Day One on Sunday, poker pros Michael “The Grinder” Mizrachi and Philippe Boucher captured the final two preliminary bracelets awarded on Saturday. In the €10,000 Split Format No Limit Hold’em event, Mizrachi came back yesterday as a member of the Final Four who would determine the title. In his semi-final match against Roger Hairabedian, Michael slowly worked the heads up match to what was a startling conclusion. On the final hand of their matchup, Hairabedian flopped a set of fives on a J-8-5 board, but Mizrachi was able to best that by turning a straight with his 7-6 when a four found the turn. Once the board didn’t pair on the river, Michael Mizrachi was on to the final. In the other semi-final match, Shawn Buchanan and Noah Schwartz battled it out for the right to face “The Grinder.” Buchanan methodically worked his way into a comfortable lead against Schwartz before getting him to commit his final chips with a mediocre offering. After a minimum raise from Shawn, Noah decided to make a three-bet stand for his last chips with only an A-5 off suit. Buchanan quickly called, tabling his pocket Kings, and once the board ran dry (albeit with a bit of a flush sweat), Shawn Buchanan was the winner of the match. As predicted here yesterday, the Mizrachi/Buchanan battle was a fierce one, although Michael came to the felt with a 2:1 chip lead over Shawn. “The Grinder,” true to his name, was able to gradually add on to his lead over the two hours of play; nothing that Buchanan attempted seemed to work as his chip stack slowly slipped southward. The end of the tournament was particularly brutal for Buchanan as, holding an A-J against Mizrachi’s A-10, a ten came on the flop to flip the lead to Mizrachi. Turn and river deuces sealed the deal for the 2010 $50K Poker Players’ Champion, giving him his second bracelet in as many years. The final table of the €1500 Six Handed Pot Limit Omaha tournament seemed to be more of a sprint than a marathon, highly unlike major championship final tables. Chile’s Nicolas Fierro came to the final table with the chip lead, but it was a one man wrecking ball by the name of Philippe Boucher who stole the show. After taking almost an hour and a half before the first player, Jack Ellwood, was eliminated by Boucher, the Canadian pro would then storm his way through the remainder of the field. He would go on to knock off the entire table on his run to the title, only pausing slightly during heads up play against Michel Dattani. On the final hand, Dattani would commit his final chips holding an A-A-J-7 against the A-Q-10-9 of Boucher. After the board ran 6-6-8-J-Q to give him the winning straight, Philippe Boucher would pick up his first WSOP bracelet in just under four hours. While these two final tables wrapped up action, the first Day One of the €10,000 Championship Event was in play. 310 players eventually wound their way to the tables in the battle for the next WSOP Europe Main Event championship, guaranteeing that this will be the biggest Championship Event in the history of the WSOP Europe. Last year’s total number of players was “only” 346 and the record field for the tournament was in 2007 and 2008, when the tournament drew 362 players. At the end of Day 1A, 173 players remained, with Jamie Rosen holding the chip lead with 162,700 in chips. Notable names in the Top Ten include the U. K.’s Chris Moorman and Erik Friberg, but there are threats looming down the leaderboard. Two time World Champion Johnny Chan is just off the leaderboard in eleventh place with 108,350 in chips, while Ramzi Jelassi, 2011 WSOP November Niner Ben Lamb, Carlos Mortensen, Will “The Thrill” Failla, Chad Brown and Arnaud Mattern are just some of the names in the Top 25. Day 1B is currently in play, with 165 players stepping up for the action on Sunday. Some of the players who have made early moves during Day 1B include 2010 WSOP November Niner Filippo Candio, Robert Mizrachi, Tommy Vedes, Shannon Shorr, Bryan Devonshire, Sandra Naujoks, Mike “Timex” McDonald and Bertrand “ElkY” Grospellier. Defending World Champion Jonathan Duhamel, Men “The Master” Nguyen, Jean-Robert Bellande and Sorel Mizzi are all below their starting stacks, with “The Grinder” and Steve Billirakis two of this year’s WSOP Europe bracelet winners already eliminated from the tournament. Sports PLC, one of Europe's leading online lesiure equipment retailers, has been appointed by Caesars Interactive Entertainment as exclusive licensee for the World Series of Poker (WSOP) merchandise in the UK and Ireland, it was announced today. The company, based in Alvechurch, Worcestershire, will sell official WSOP products - including poker tables, gaming chips, playing cards and a host of other accessories - via its leading sports and leisure retail site www.thesportshq.com. The World Series of Poker (WSOP) is the largest, richest and most prestigious gaming event in the world and the longest running poker tournament in the world, dating back to 1970. Having grown the event into a globally-recognised brand, Caesars Interactive entertainment selected Sports PLC as exclusive licensee due to its track record in delivering a combination of excellent products and outstanding customer service across a range of leisure markets - including golf, cricket, health and fitness and outdoor leisure. Announcing the three-year deal, Sports PLC CEO Simon Millington, said: "Because of the World Series of Poker, the game has developed into a huge cultural phenomenon and has made international stars of the world's leading players. "Like snooker, poker no longer carries the stigma of being something restricted to smoky back rooms and is now much more main stream. There is a significant market in the UK and Ireland for top quality poker equipment and WSOP-branded products will secure a considerable share of that market for us. "We've got a strong online retail presence, major warehousing and distribution facilities and a huge customer base - so we're in an excellent position to help the WSOP build its brand and popularity through official merchandise." Previous winners of the WSOP include the famous 'Amarillo Slim' Preston and Stu 'The Kid' Unger. By 2006 the prize money on offer had eclipsed the combined purses of events like Wimbledon, golf's US Masters and the Kentucky Derby horse race. Everyone knew where this road was headed, we just didn’t know who would get there. Just 22 players entered play at the 2011 World Series of Poker (WSOP) Main Event on Tuesday with a chance to make the final table and come hell or high water, the field was going to be narrowed to nine before the tournament was adjourned until the fall. No more playing for a set number of levels. We were going to get rid of 13 players if it took all night. Fortunately, it didn’t take all night (so long as you were following the action in Las Vegas) and we now know the identities of this year’s November Nine. Considering the increases in payouts at this stage of the game and the importance of advancing from Tuesday to November, one would have expected play to slow to a crawl as players became very careful not to bust out. Not so yesterday. Even with a the usual breaks, a two hour dinner break, and an extra one hour break, the field was whittled to the final ten before 10:00pm Pacific time thanks to lots of three-betting, four-betting, and risky all-ins (Konstantinos Mamaliadis moved all-in with 8-2. Granted, he was short, but still. Yes, he lost that hand). The ESPN announcing team of Lon McEachern, Antonio Esfandiari, and Norman Chad predicted that eliminating that last player to determine the November Nine would take a long time, and it did. With the media attention, sponsorship deals, and a more than $200,000 prize jump waiting for them between now and November, nobody wanted to be the final table bubble boy. In some ways, even though he was to win $607,882, it is worse to be the November Nine bubble boy than the standard “in the money” bubble boy. And while play did slow down significantly as most hands didn’t get past the pre-flop stage, it still went about two hours faster than last year’s six hour marathon. In the end, it was John Hewitt of Costa Rica who made the other nine players very, very happy. Ireland’s Eoghan O’Dea (son of Donnacha O’Dea, who has made two Main Event final tables) opened the pre-flop betting to 1.1 million chips, with blinds at 250,000/500,000 and a 50,000 chip ante. Hewitt, who had been riding high for much of the day before taking a bad beat when his A-K lost to Pius Heinz’s K-J, pushed for his last 3.875 million. It was a race: Hewitt’s 3-3 versus O’Dea’s K-J. Despite not hitting one of his cards, it was a good flop for O’Dea, as the Q-T-7 gave him an open-ended straight draw. The Ace on the turn clinched the hand for the Irishman, sending the poker room into a frenzy. Hewitt was gracious in defeat and his fellow tablemates were simultaneously congratulatory and empathetic to him. While the remaining players were no doubt thrilled they had made the November Nine, they knew what a disappointment it was for the likable Hewitt to fall short. While everyone moving on to November has done a fantastic job, perhaps the most impressive player of the day was Matt Giannetti. He was one of the bigger stacks during the early part of Day 8 before running into a painful hand against Ben Lamb. With blinds at 150,000/300,000/40,000, Lamb raised pre-flop to 675,000 and Giannetti called. After the flop of Ah-9h-2d, Giannetti check-called a 700,000 chip bet. Both players checked the 7d on the turn and Giannetti once again checked the 2h on the river, a card which introduced the possibility of a flush. With the pot at just over 3 million chips, Lamb made a huge bet of 4 million. Obviously holding a good hand, but unsure of just how good it was compared to Lamb’s, Giannetti went into the deepest of tanks. One minute went by, then two. Then three. Esfandiari kept viewers interested by analyzing what he thought each player had. Five minutes. Eight. After ten minutes, Giannetti finally made the call with A-9, giving him top two pair. To his dismay, though, Lamb flipped over 2-3 for three-of-a-kind, giving him the large pot and sending Giannetti’s stack down to under 10 million. Giannetti was noticeably shaken after that and even stepped away from the table a short time later to collect himself. Struggling to stay alive as he made it to the final ten, he held firm and didn’t make any rash moves. He was able to raise a couple times pre-flop without moving all-in to collect the blinds and antes, which at that point meant he was increasing his stack by around 10 percent. He finally decided to put all of chips at risk, twice doing it with pocket Jacks, and both times doubling-up. Matt Giannetti had emerged from the emotionally draining hand earlier in the evening and had climbed back from the November Nine bubble to make it to the final table with the third largest chip stack. It is a final table with a very international flavor: just three Americans and one player each from the Czech Republic, Ireland, Belize, Germany, Ukraine, and England. At this point, everyone is guaranteed at least $782,115 with the winner taking home $8,711,956. The players are now on a three and a half month break as they prepare for the rest of their Main Event journey. Play will resume on November 5th, will pause when there are just two players left, and will pick up again on November 7th to determine the next No-Limit Hold’em World Champion. We’re at the point in the 2011 World Series of Poker (WSOP) Main Event where everyone left in the field can smell the finish line. The coveted championship bracelet is now a realistic possibility, even for those at the bottom of the leader board. With just 57 of the original 6,865 players still holding on to chips, the tension will be ratcheted up a notch as Day 7 begins on Monday. Leading the way is professional poker player Ryan Lenaghan, with a stack of 12,865,000 chips, almost 3,000,000 more than his nearest competitor. The Mobile, Alabama native now living in New Orleans made his biggest move late in the day. He opened the betting pre-flop with a raise to 110,000 and was then re-raised to 355,000 by Bryan Follain. Undeterred, Lenaghan took it up to 865,000 only to see Follain five-bet all the way up to 1,200,000. Lenaghan quickly moved all-in, covering his opponent, who, after some thought decided to put all his chips at risk. Interestingly, the hands weren’t all that strong considering the action: Lenaghan had J-J, while Follain held A-Q. None of the five community cards helped Follain and with the 4,200,000 chip pot, Lenaghan soared into the lead. Despite his chip advantage, Lenaghan will start at a tough table today. Joining him is John Esposito, who has now cashed in seven Main Events, David Bach, who was the chip leader going into Day 6, top online (and now live) poker pro David “Doc” Sands, and one of the other top stacks, Hilton Laborda, who has 7,160,000 chips. Currently sitting in second place is this summer’s star, Ben Lamb, who has been at or near the top of the field for most of the Main Event. With his deep run in this tournament, Lamb will take over the lead in the 2011 WSOP Player of the Year (POY) standings from Phil Hellmuth. Not counting the Main Event, he has four cashes at this year’s WSOP, including a bracelet, a runner-up finish and a third final table. His worst finish of the four cashes is 12th. Hellmuth will still have a chance to re-take the lead at the WSOP Europe later this year. Other notables remaining the in the competition include Bryan Devonshire (10th), J.P. Kelly (21st), Lars Bonding (26th), Sam Barnhart (27th), Tony Hachem (36th), Erick Lindgren (38th), Steve Brecher (45th), and Sebastian Ruthenberg (57th). Media Man is primarily a media, publicity and talent management company. They enjoy b2b arrangements with many of the world's top media and entertainment companies including Human Statue Bodyart, Human Entertainment, Fairfax Media, Bwin.Party Digital Entertainment, WWE, PKR, Marvel Entertainment, Warner Bros, DC Comics, Messages On Hold and Virgin Enterprises Limited.